You know what’s almost as awesome as having to prepare dinner EVERY SINGLE NIGHT for a bunch of tiny food terrorists? NOT having to cook dinner every single night. Better yet, not even giving feeding the hungry hordes a second thought till their demands reach a point that can no longer be drowned out by a creative selection of methods. 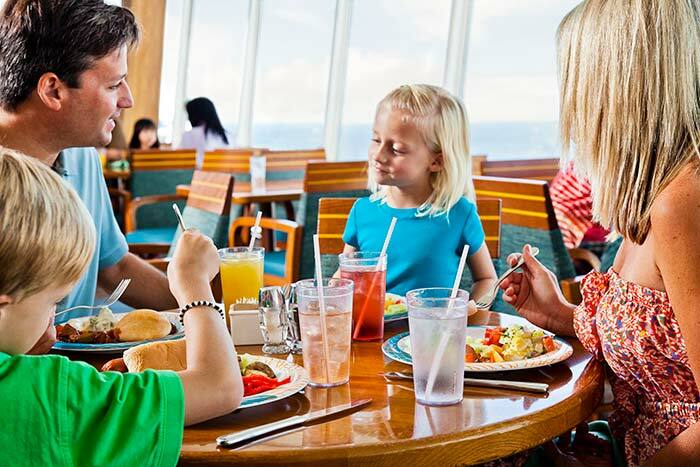 Eating out, nay, doing anything vaguely resembling ‘enjoyable holidaying’ can be tough with kids. If by ‘tough’ we mean ‘close to impossible’ and by ‘enjoyable holidaying’ we mean something you AND the family can actually enjoy. Forget #mumlife, we think that #mumholidaylife deserves a hashtag all to itself. 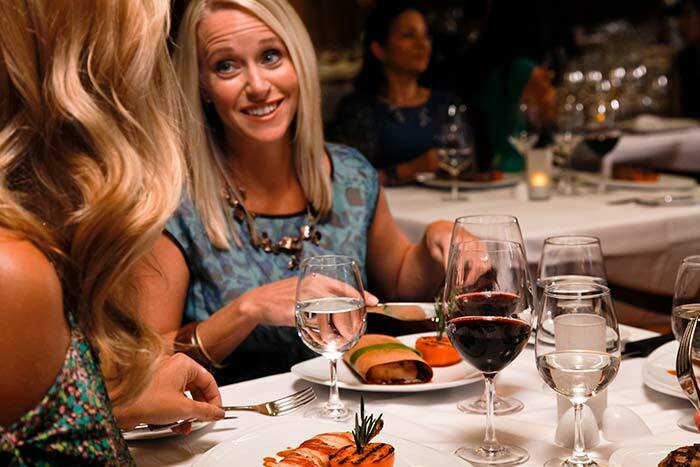 “Sounds amazing!” we hear you say. Well come on then, take a walk with us and allow us to introduce you to ‘Fantasy Holiday Paradise Land’ or FHPL. No, there isn’t a swimming pool surrounded by large cocktail glasses full of complimentary frose (frozen rose to the uninitiated. Haven’t got on it? Now is the time to start) BUT there’s actually something so much better on offer; the perfect family holiday. 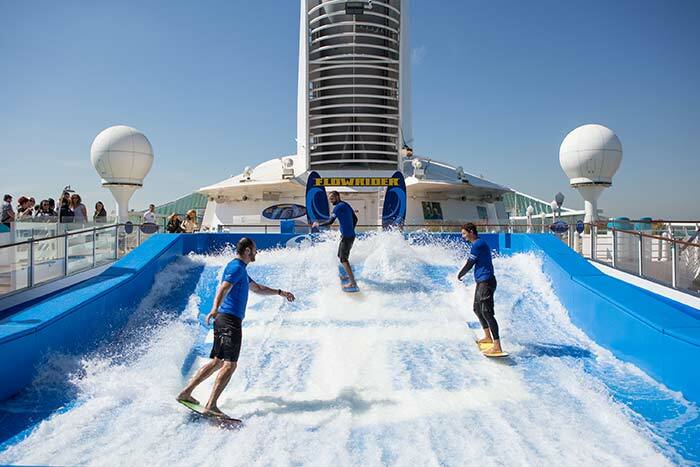 A Royal Caribbean cruise could well be your ticket to ‘Fantasy Holiday Paradise Land.’ But don’t just take our word for it. 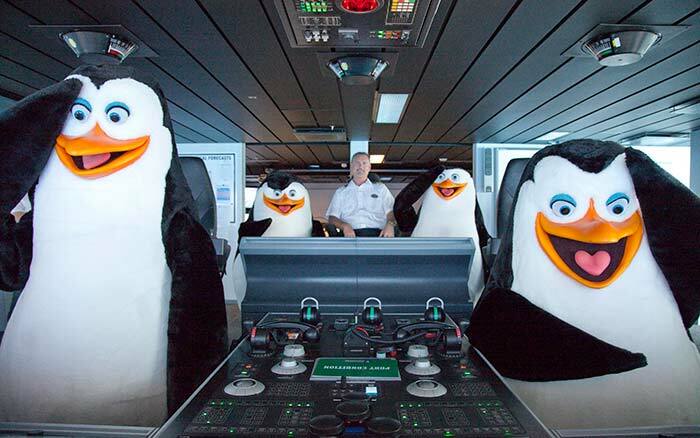 Here’s 11 reasons why cruising the high seas meets the (intensely strict and rigorous) FHPL criteria. Gosh packing for holidays is a nightmare. It’s almost enough to send you off to Bunnings for a plastic paddling pool to spend your ‘holidays’ in. The only thing worse than packing? Re-packing. Repacking for multiple destinations/climates/modes of transport. But it doesn’t have to be that way. Picture having to PACK ONLY ONCE yet managing to visit a whole quiver of exotic destinations. Plus, the same climate means there’s no need to pack swimmers AND a ski suit. Ding, ding, ding, we have a winner! Have you ever tried to hire a car seat in Slovenia? I haven’t either but the thought makes me nervous and slightly nauseas. The whole ‘transport once you’re done transporting’ thing is a pain in the bum. You know, the transfers from airport to resort. The hire cars. Taxis. Dare I mention it? Public transport. All in a different state or country. With children. No thank you. 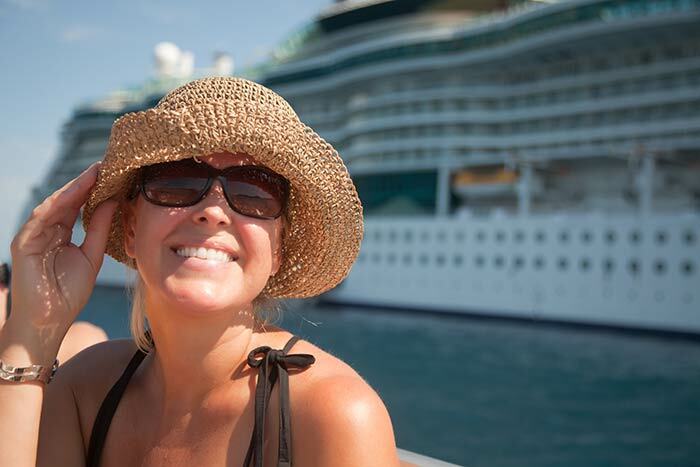 Rest assured you’ll have no problem transporting yourself around your cruise ship. You can spend the time you would be spending waiting for a bus in Noosa laughing at the people who are doing that while you eat your (already paid for) ice cream. Where to eat is a question that plagues every family during holidays. Do you risk something ‘new’ and ‘different’ or eat fish and chips 5 nights in a row, purely to avoid stress? Imagine moseying on down to a kid-friendly buffet where the whole family is not only accepted but welcomed with open arms (as opposed to the anguished, panicked glances shot between waiting staff at your local Italian). Or of course, you can always stay in your PJs and get room service. Choosing from different cuisines and styles of dining every single night without the need to frantically spend hours Googling ‘child friendly Japanese walking distance to XYZ highchairs.’ All but a short walk away on your floating resort. We are literally flooded with thoughts and decisions to make. It’s exhausting. 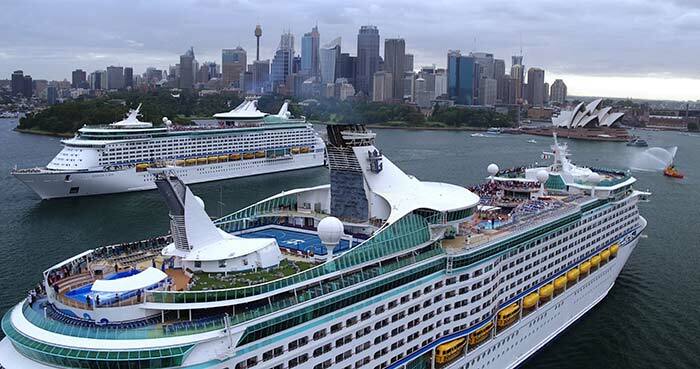 Once you’ve chosen which cruise you’d like to go on (Royal Caribbean has four ships based in Australia, and sails to over 230 destinations globally FYI) and the length of time, you’re done. Hop on board on the designated day, unpack (or not, the rooms are that spacious you could forego unpacking even!) and saiiiil away. 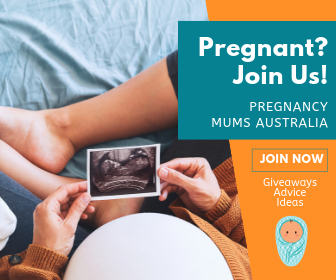 No airport transfers, lost baggage dramas or sudden need to find a bathroom fitted with a change table. 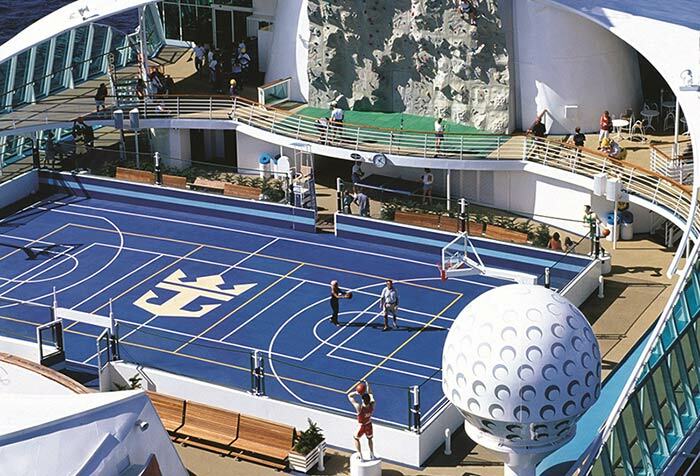 Yep, this is one clever cruise ship. It instinctively knows that some of your family wants to be kept busy at all times. They want to surf the FlowRider and drive dodgem cars or hoon around on the ice skating rink. Maybe try circus school, or give indoor sky diving a crack. How about a party parade with your favourite characters from Dreamworks? Like Shrek, Puss in Boots and King Julian. And all for no extra fee. 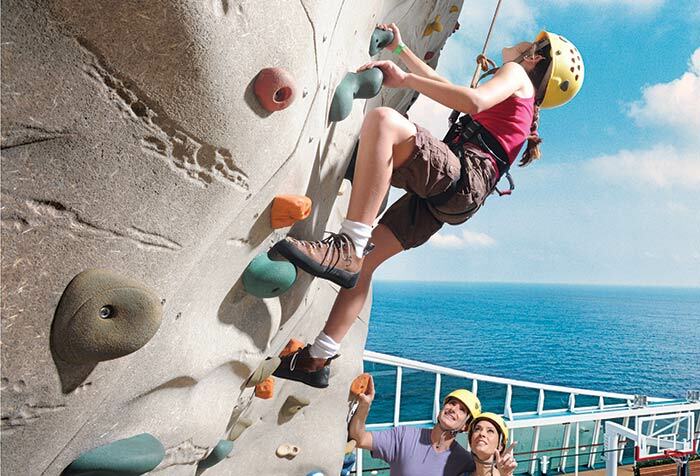 With Royal Caribbean, your cruise fare includes unlimited rides for the kids (and the big kids). 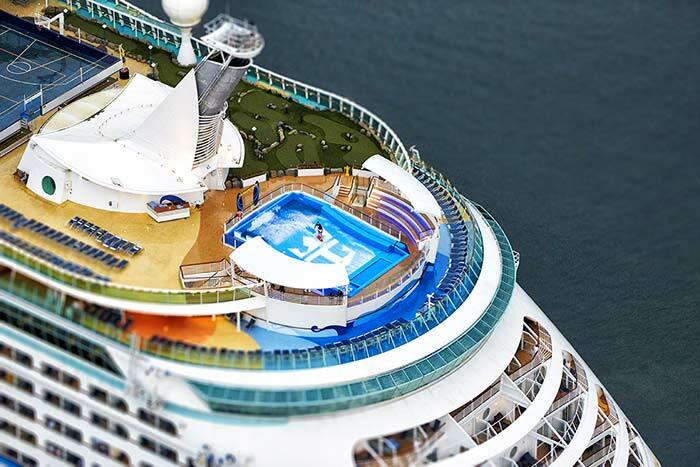 And you won’t find these features on any other cruise ship. 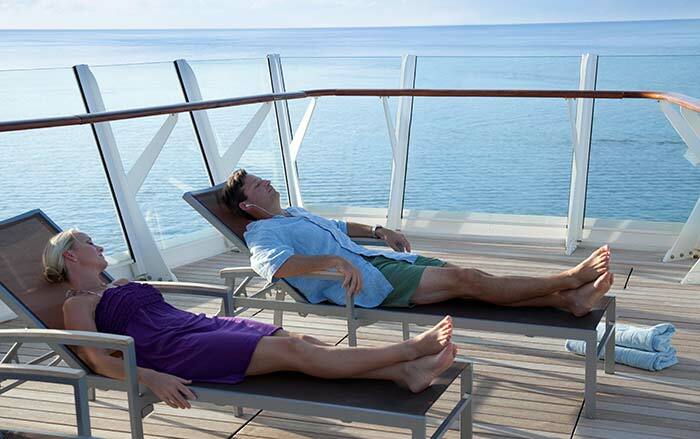 The ship also knows that for others, a deck chair and good book is all that’s required. Maybe a spot of duty-free shopping or a dip in one of the many pools – including one for adults only. Or a spa appointment. 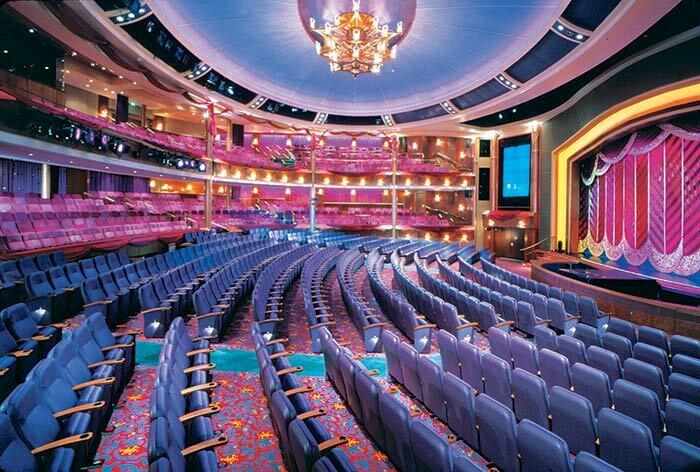 On board Royal Caribbean, you can choose to do as much or as little as you please. The ship won’t judge you. At all. 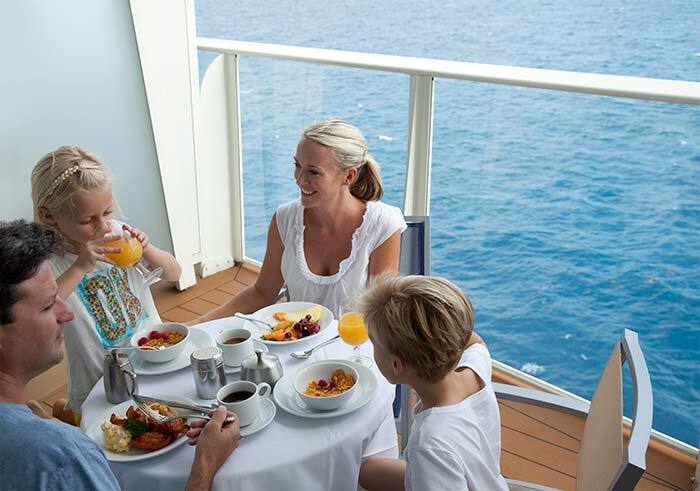 One of the best things about a cruise is being able to hand over parental responsibility easily AND enjoy the spoils quickly. 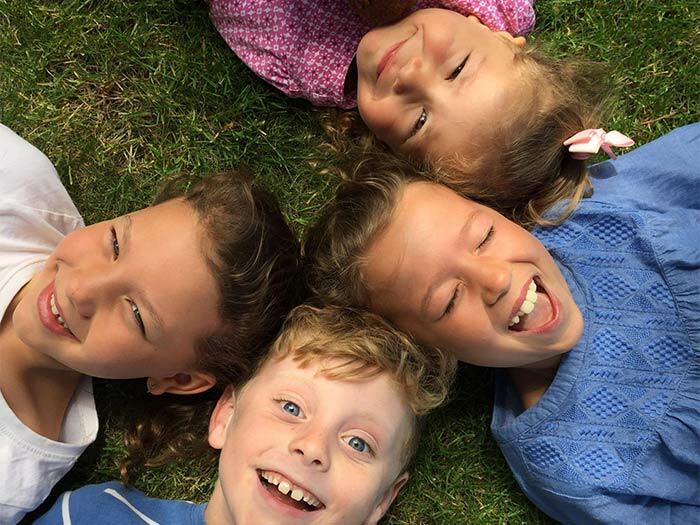 We’ve all been for a ‘weekend away without the kids’ and spent 75% of the time finding a babysitter, checking on the babysitter, finding an ‘adult centric’ activity, deciding against the activity then wondering where it all went wrong. With the fully accredited Adventure Ocean kids club and plethora of ‘adult’ activities, all that is but a nightmare from the past. Kids can visit Adventure Ocean and go nuts with kids their own age, fully supervised by qualified and experienced child care staff (again – all included in your fare), while you sneak off and do pretty much whatever the heck you like. We could suggest a cocktail, the casino, a broadway-style show or dinner at one of the fancier, a la carte restaurants but who are we to tell you what to do with your precious free time? ‘It was the best of times, it was the worst of times.’ Famous literary quote or a parent after opening their credit card bill after the last family holiday? Holidaying with kids can be a pricey adventure. There’s the ‘other food’ budget, ‘activity’ budget or the all-important ‘sanity’ budget (the things you buy in airports/train stations/foreign countries that you have absolutely no need for but that keep the peace during trying travel times). Where else can you book a family holiday for around $105* per head per day?! 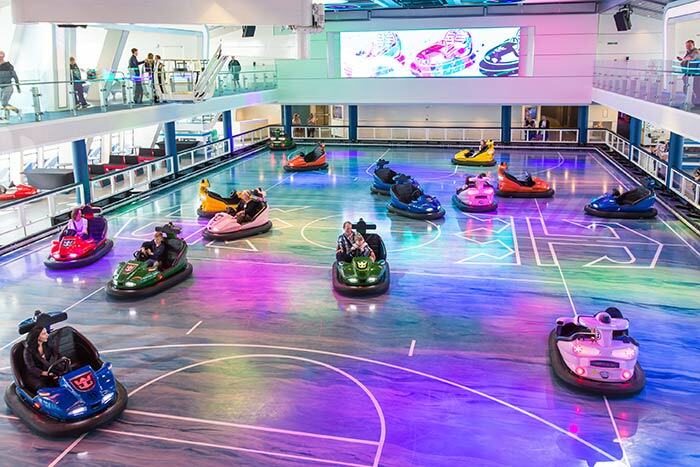 When you’re cruising, you’re ahead of the game. Packages are inclusive. We’re talking accommodation, main meals, non-alcoholic drinks, entertainment and all your activities – like ice-skating, the FlowRider, rock climbing and even a trip in the North Star – that amazing 90m tall London-Eye style viewing capsule on a robotic arm. You can even book in advance and pay off your trip BEFORE you leave. Yes, tours and alcoholic drinks packages cost extra but you can pre-book, so you’ll know ahead of time so you can factor that into plans and avoid the need to burn the credit card bill in a few months’ time. 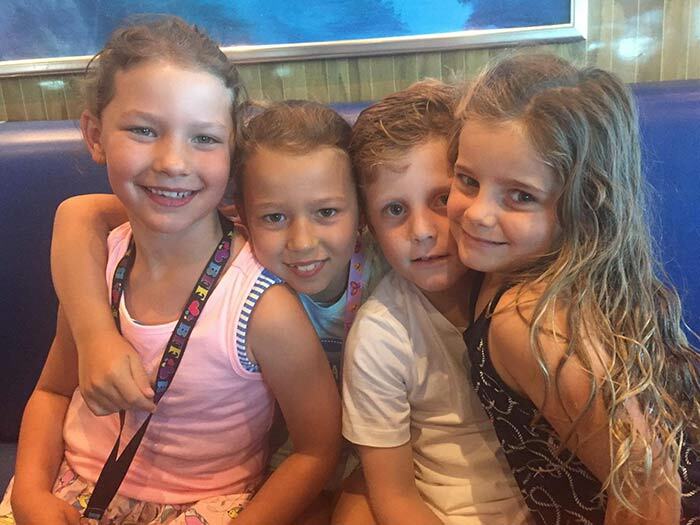 If you’re the type to want to travel with built in babysitters, ahem, we mean extended family but worry about trying to keep everyone between the ages of 6-65 entertained, a cruise may very well kerb those fears. There is SO much to do that it would actually be a full time job trying to test it all out. And it’s not just kid-centric (though there’s plenty of that). There are plenty of activities for every type of grown up and grandparent. Plus there’s plenty of space on the ship, so you can all find your own quiet corners. Let’s not beat around the bush, a cruise ship is BIG. But it’s not so big as to be intimidating. We’ve all been on holidays where it’s all felt a bit too busy and daunting. Add kids to the mix and it’s a cocktail for stress and anxiety. A cruise, while letting you see a whole host of different places, feels safer somehow. No nasty traffic or scary street corners. 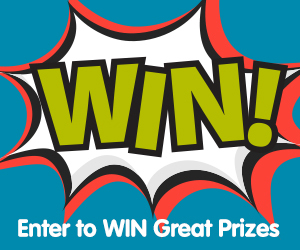 It’s squeaky clean, fun and completely family friendly in the best possible way. There are certain places only accessible by water. And guess what you’ll be travelling on? A SHIP! Which means that, if you choose to go off on day trips and the like, you’ll be visiting destinations that you can smugly recount to others upon your return. Take the South Pacific for example. That crystal water. The bleached white sand. Most importantly, plenty of safe spaces for kids of all ages to explore. And you’re not restricted to just the one destination. Far from it. Kids (of all ages) are not renowned for their attention spans. Present them with the worlds best beach and by Day 2, they’ll be clamouring for a swim in the neighbour’s backyard pool. 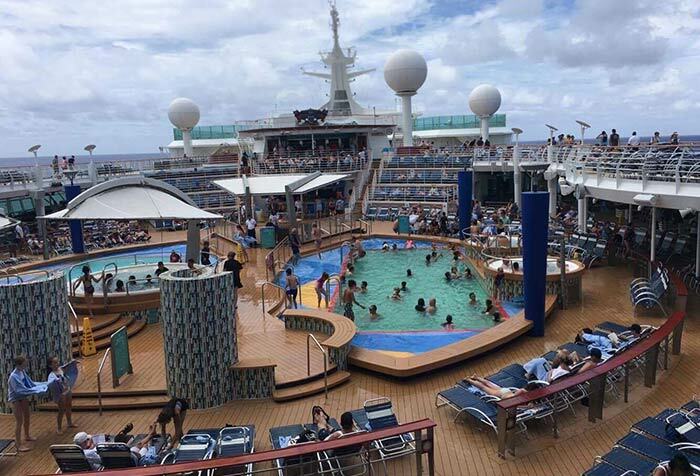 Onboard a Royal Caribbean cruise, the South Pacific is literally your oyster. 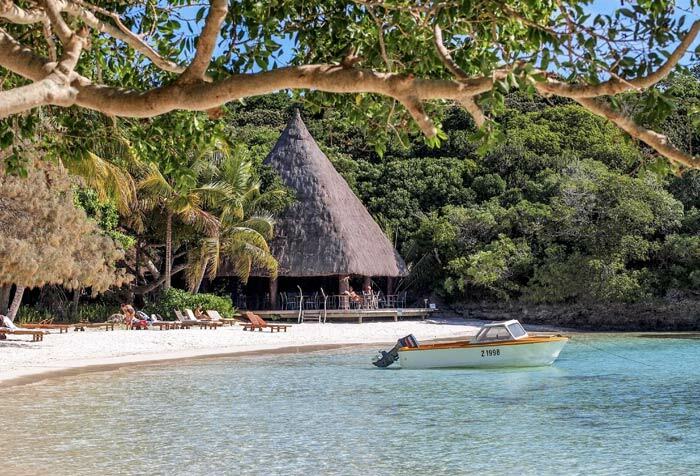 Whether it’s exploring the Fiji Islands, checking out New Caledonia or getting acquainted with Vanuatu, there’s plenty to sink your teeth into. Your kids get to experience a brand new culture and environment without the need to navigate the minefield of accommodation and food options off the beaten track. Hop off your ship, spend the day re-enacting the better scenes from ‘The Beach’ then jump back onboard in time for a hot shower and dinner (and maybe a cheeky, post-island hopping cocktail). It’s ‘stress free accessibility’ where all the pre-planning is done for you with the extra reassurance of a safe, immersive experience tailored to meet your family’s specific needs. Yeah, we don’t need to say anymore do we? 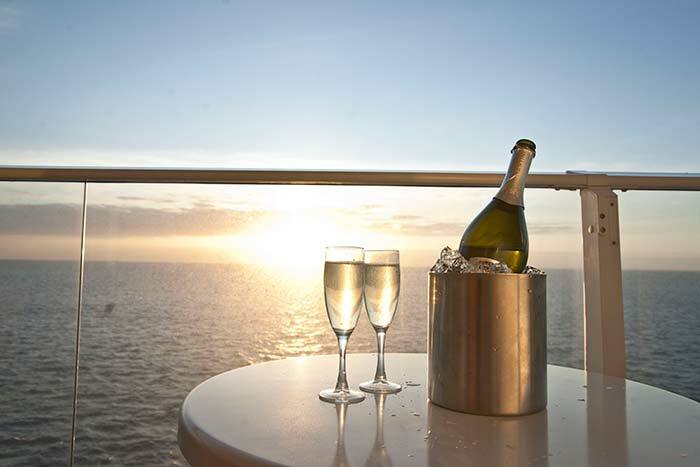 With The Royal Half Year Clearance on, now’s the time to book your next summer getaway! 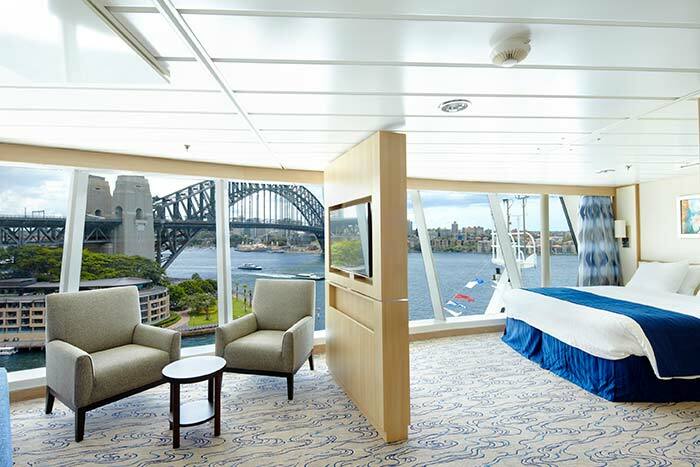 Save up to 45% off the total fare on a huge range of sailings such as New Zealand, South Pacific, plus Asia and Trans-Pacific voyages. 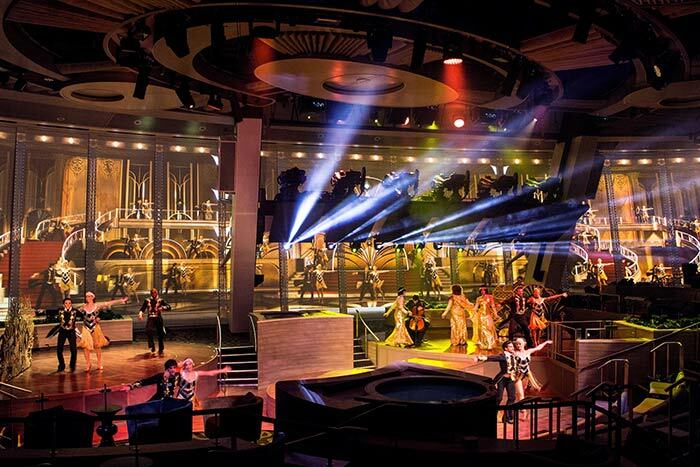 Cruise on state-of-the-art ships and enjoy a whole host of unique entertainment and activities that can only be found on Royal – and all included in your cruise fare. T&Cs apply.